In this photo are 9 - 24 inch blocks completed! The blocks are so large that I had to stand on a stool to arrange them on my makeshift design board, flannel tacked on the wall. Finally, I called my husband for assistance since he is a rather tall guy to help me shift the blocks around so that the brighter fabrics were evenly distributed. I thought I had this accomplished by focusing on the center star. Once the outer square was added that shape took the focal point causing a need for redistribution of the blocks. I will be adding sashing around the blocks. Some who participated in the quilt-a-long chose not to. As you can see in my photo many other designs can be seen when putting the blocks together. Since I chose Scrumptious the fabric prints are different in size and color intensity varies. I believe accentuating each block will work better with my quilt. I have the first row sashed. I will wait to finish the quilt top to reveal. I am getting excited about it! Last weekend Mike and I decided to visit historic Brattonsville to take in the activities of the day. They were celebrating Huck's Defeat by reenacting the 1780 Revolutionary War battle that occurred close to Colonel William Bratton's homestead. 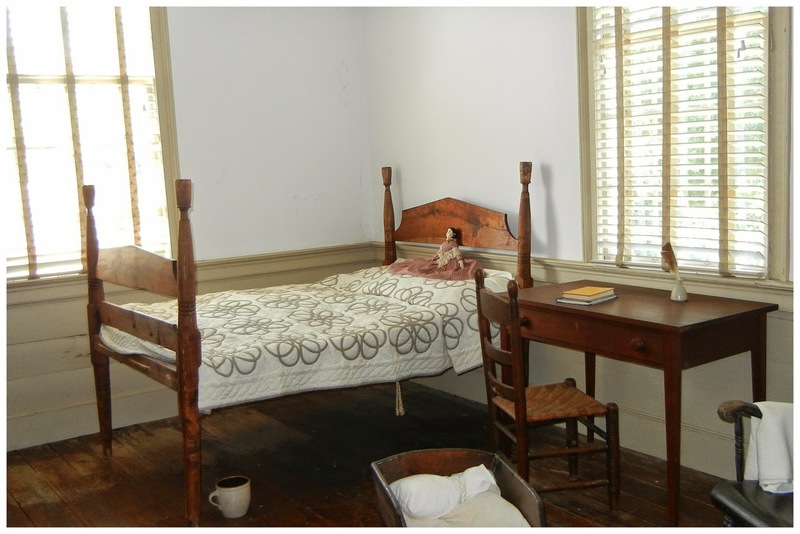 If you are a history buff you can read more about the plantation home, the Bratton family and the historical facts here. 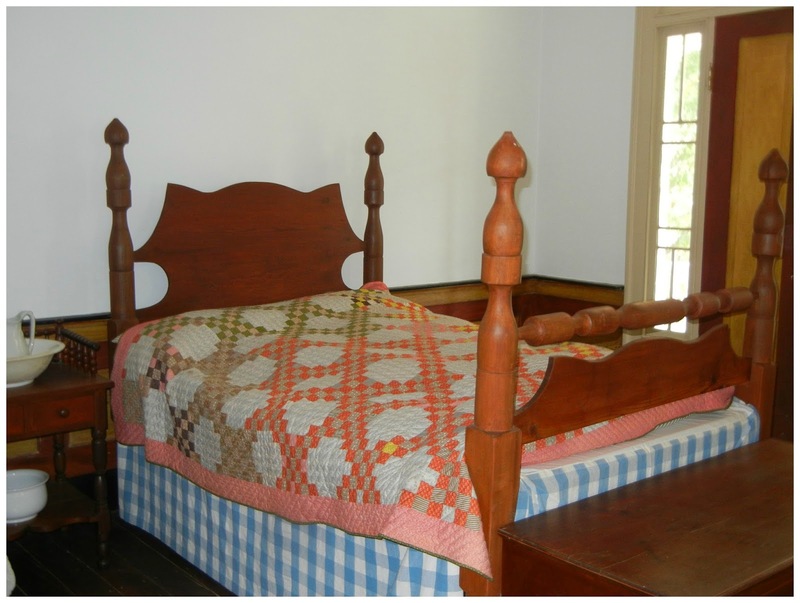 I will share a couple of antique quilts that I saw while touring the plantation homestead. The Double Irish Chain quilt is on the master bedroom bed. Don't you love how the chain changes from green to melon color? 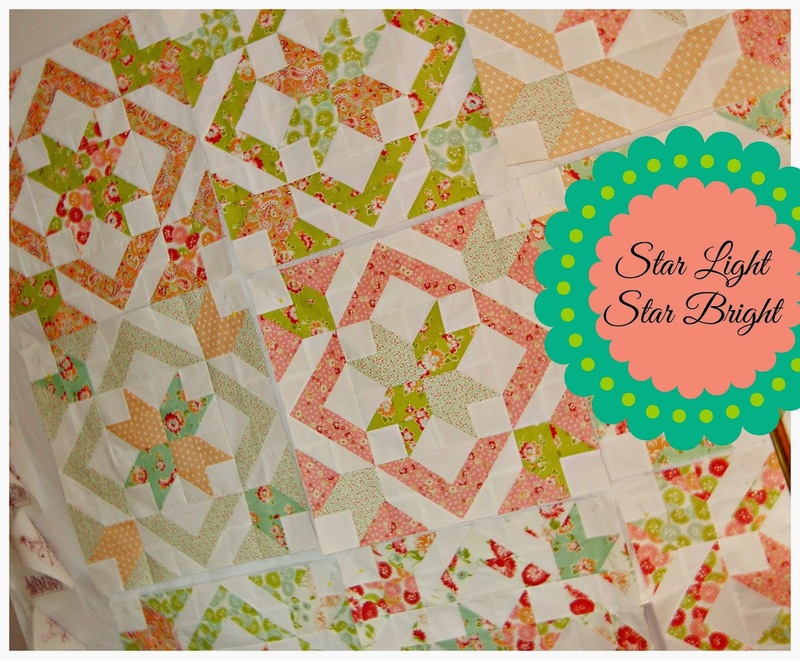 Isn't this applique quilt sweet? The spiral like design is delicate and perfect for a little girl's room. There was one other quilt that I am kicking myself for not taking a picture of it. The Bratton family were several generations of physicians. In the room that displayed the medical tools, bags and etc. was a log cabin quilt displayed on a worn and rickety wicker wheel chair. The logs were rather thin with the typical red centers. I kept thinking that the women of the home were being quite conservative and frugal not to waste any available fabric. Yet at the same time the window treatments in the parlors and master bedroom were made of chintz, elaborate in design with swags, trims and floor to ceiling drapery that must have been purchased overseas. Overall it was a good day for Mike and I. It was so nice to do something different. The quilt looks great so far and I can't wait to see it finished.